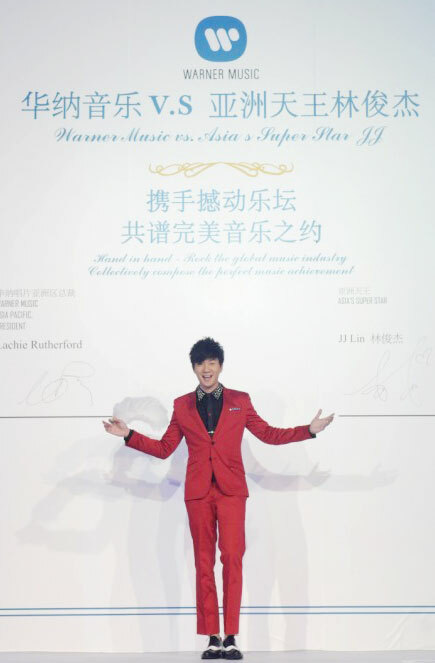 Singer JJ Lin, of Singapore, signed a contract with Warner Music at a news conference in Beijing on August 8, 2011. Lin, in a red suit at the conference, called it a new start for him. Lin said he wanted to know more people and make positive changes to his environment, so he didn't continue his previous contract. He had been with Ocean Butterflies for eight years. Lachie Rutherford, president of Warner Music Asia Pacific, and Sam Chen, president of the China market of Warner Music attended the conference to show their appreciation for JJ Lin. 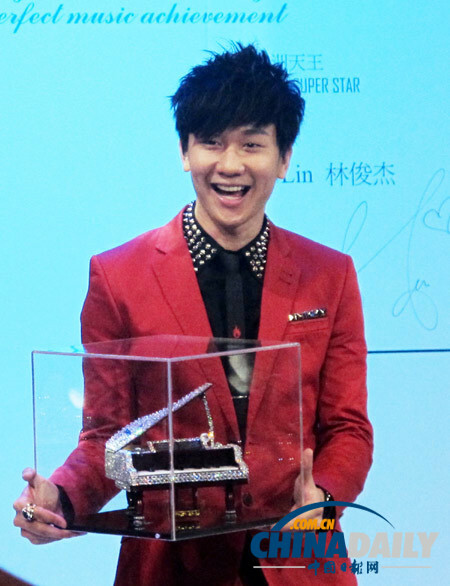 Sam Chen gave Lin a piano ornament decorated with crystal as welcome present. Lanchie said they have known each other and they have "talked about music, songs and the future." Singers at Warner Music including Jolin Tsai, Khalil Fong and F.I.R expressed their greetings of welcome through VCR and JJ Lin said he expected to cooperate with them in music.